On Thursday 4th February I was invited to the *VIP Launch of Turtle Bay Restaurant Newcastle. 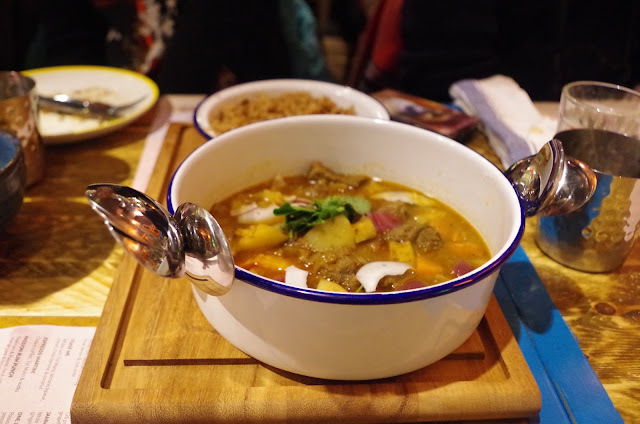 I was one of 40 diners made up of Bloggers and Press that had the pleasure to share the full Turtle Bay experience ahead of their grand opening on 9th February. Turtle Bay offers a colourful, vibrant and fiery Caribbean menu with 50+ dishes served within the quirky surrounds of the Old Co-op building on Newgate Street. 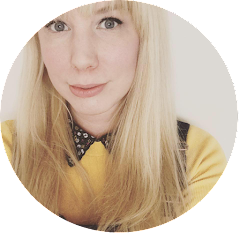 This is their first venue in the North East and I couldn't wait to try them out! Upon arrival I was greeted at the door by their very friendly and enthusiastic staff each a delight to meet and they are passionate and knowledgeable about the food and drink on offer. I wouldn't expect anything less from employees that are asked to Limbo as part of the interview process! Heading inside I was pleased to be surrounded by the sounds and smells of the Caribbean, I knew then I was in for a great night! If I'm being honest I was a little unsure of what to expect in regards to the décor, I had it in my head it would be kitsch palm tress, flower garlands and umbrellas in your cocktails. 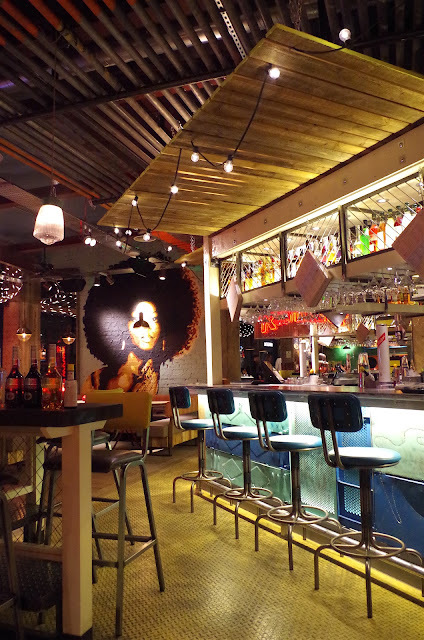 However the interiors have been sophisticatedly designed to combine both the colourful pops of soulful Caribbean style with a modern industrial look. This gives the space a fresh urban feel thats both appealing and atmospheric. 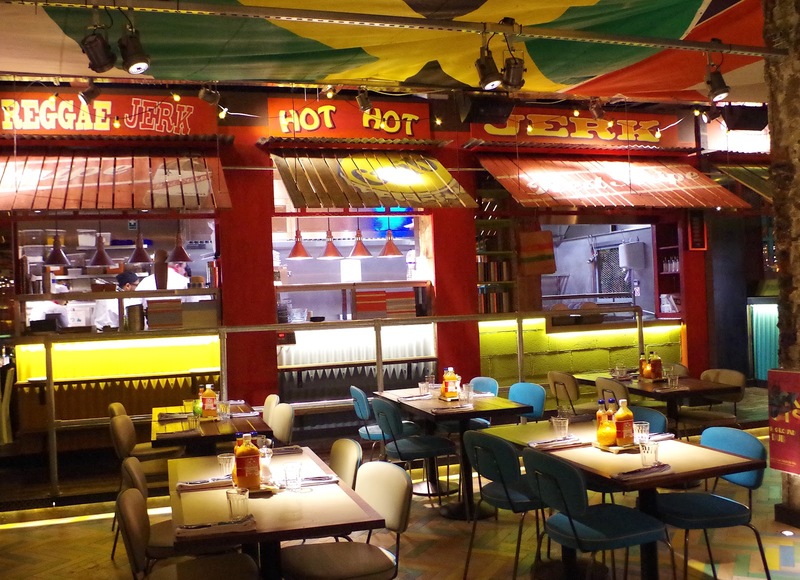 The perfect setting for Rum Reggae & Jerk! 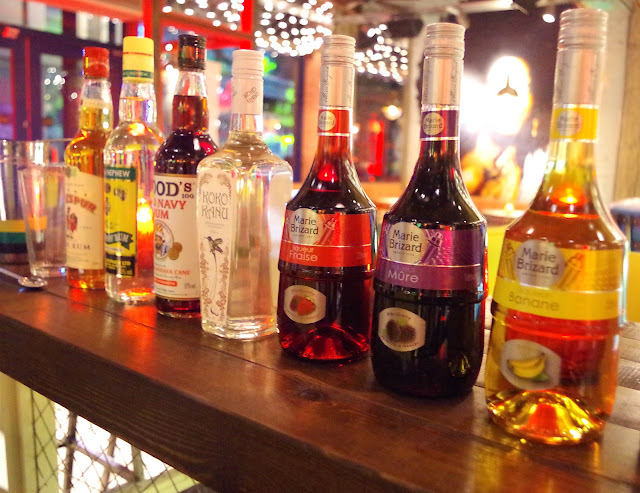 You can't visit Turtle Bay without trying some of their Legendary Rum Cocktails, stocking over 40 rums sourced from across the Caribbean there is a drink to suite every taste. With 2 for 1 cocktails available everyday during happy hour 11.30am-7pm then again at 10pm and all at the same price... what's stopping you? I was lucky enough to try quite a few cocktails over the course of the evening. I was even reluctantly given a Beachcombers Zombie (the one with absinthe in) but that was kind of my own fault as I asked the bar staff to make me a cocktail of their choice, (totally worth it). All drinks were truly a taste of the Caribbean, delicious and each delightfully different to the next and all spectacularly moreish. After a few cocktails and a bit of smoozing with fellow bloggers we all headed to our tables to begin our feast of authentic Caribbean cuisine. And what a feast it was! 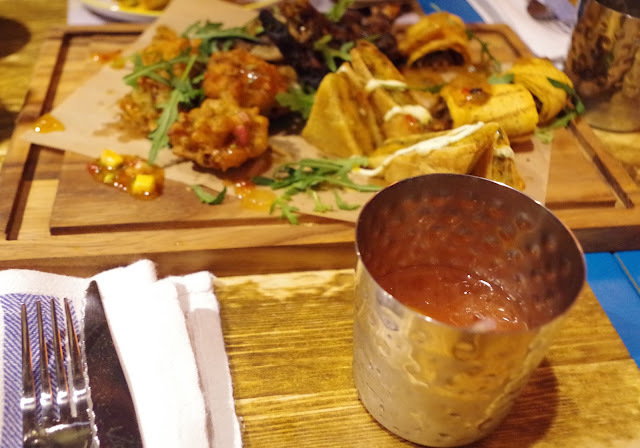 We were treated to dishes, sharing platters and deserts filled of flavour, spice and full of zest. I had the vegetarian option of sweetcorn fritters which were AMAZING I could eat them all day everyday, followed by their one pot Rastafari Run Down, then a selection platter of their puddings. I always worry when ordering the veggie option that it will lack spice, it happens quite often when eating out however I was not disappointed. Each course was jammed packed full of favour and they do not shy away when it comes to spice levels, a tastetastic explosion in your mouth. On their opening day on Tuesday 9th February, diners were only asked to pay whatever they thought their food was worth. The amount each table decided to pay was then matched by Turtle Bay. The total amount collected at the end of their opening day was then donated to the Sunshine Fund a charity that raises funds to help disabled and seriously ill children in the North East. A lovely way to raise money for a great cause. On a whole I had a wonderful evening, delicious food, drink and fun atmosphere, all the ingredients needed for a great night out. I got to catch up with friends and meet some shiny new people. And any restaurant that has my favourite hot sauce Encona on the table is a winner for me! I also got to discover my now 2nd favourite hot sauce Ant May's Bajan Pepper Sauce (available to buy at Turtle Bay). 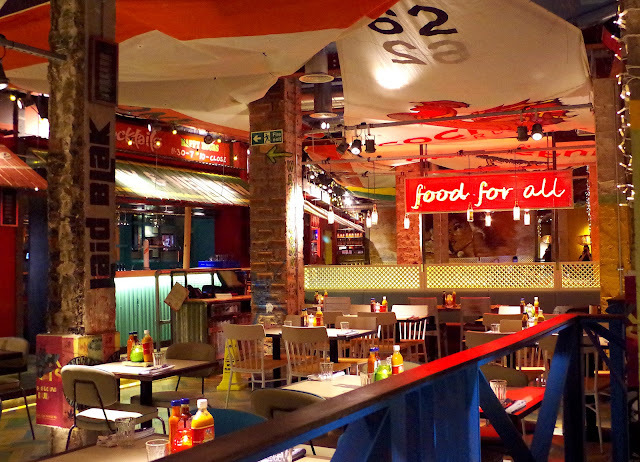 If you going out with family, friends or on a date with a loved one Turtle Bay is defiantly worth a visit. And don't forget this Sunday 14th February is Valentines Day so why not have a gander at their special Valentines menu. 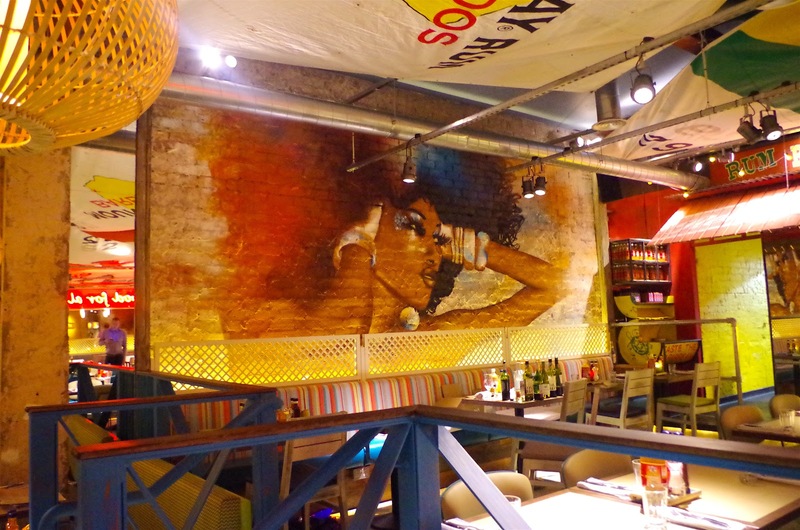 Turtle Bay is a fantastic new kind of dining and drinking experience in the heat of Newcastle city centre!